Janesville is a moderately sized city with a population of 63,575 located on the Rock River in the rolling hills, rich fields and verdant woodlands of scenic south central Wisconsin. 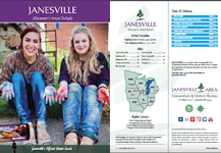 Janesville was founded in 1836 and has experienced steady growth and development ever since. 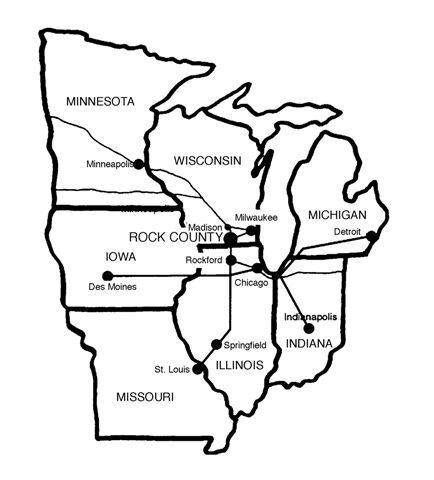 Janesville's long history of strong industry and economic success has helped turn the city into a major commercial and industrial center for the State-Line area. Perhaps what Janesville is best known for is its abundance of beautiful parks and recreational areas. Handy boat launches, numerous ball fields, playgrounds, two public golf courses, tennis courts, over 2,300 acres of parkland and 25+ miles of paved bike trail are just some of the amenities enjoyed by Janesville residents. FJI leads private sector economic and community development efforts to ensure the continued health and prosperity of business and industry in Janesville.